The nearby Notre Dame Cathedral of late Gothic style is also quite remarkable; it was first built in the 1613. 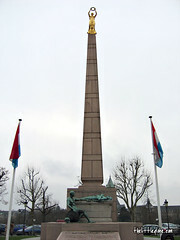 Next, at the Place de la Constitution, that is one of the best place for panoramic view points. From there, the unbroken view of the entire surrounding area which includes the Notre Dame Cathedral, the Passerelle viaduct, the Valley of the River Petrusse and the Adolphe Bridge is exceptionally beautiful. 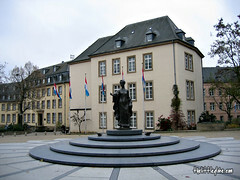 The "Gélle Fra" Memorial at the Place was set up in 1923 to commemorate the Luxembourgers who perished in the First World War. 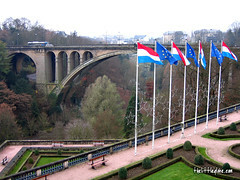 We walked to the Adolphe Bridge and back checking out the views from the different locations, wandered around Place de la Constitution and took some photos. The Casemate beneath consists of underground tunnels which were built in 1644 and used as multi-level defensive passages. Due to the poor weather during this time in late November and the short of time, we decided to skip the Casemate visit (yeah, we knew it was not a good idea). We walked back to the city centre and stopped by the colourful Christmas Market at Place d'Armes in the pedestrian area of Luxembourg City. The atmosphere in the Christmas market was nice and there were lots of interesting stuff and food! 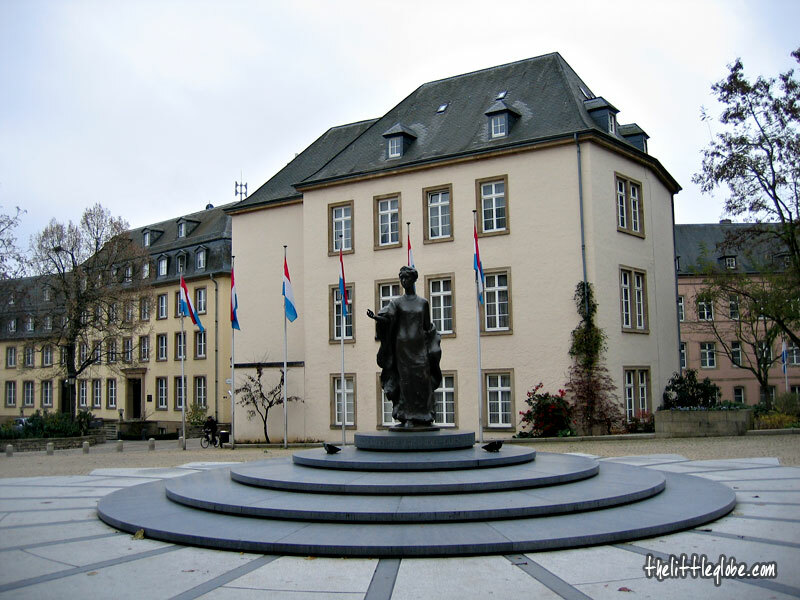 I really enjoyed this short visit in Luxemborg City. 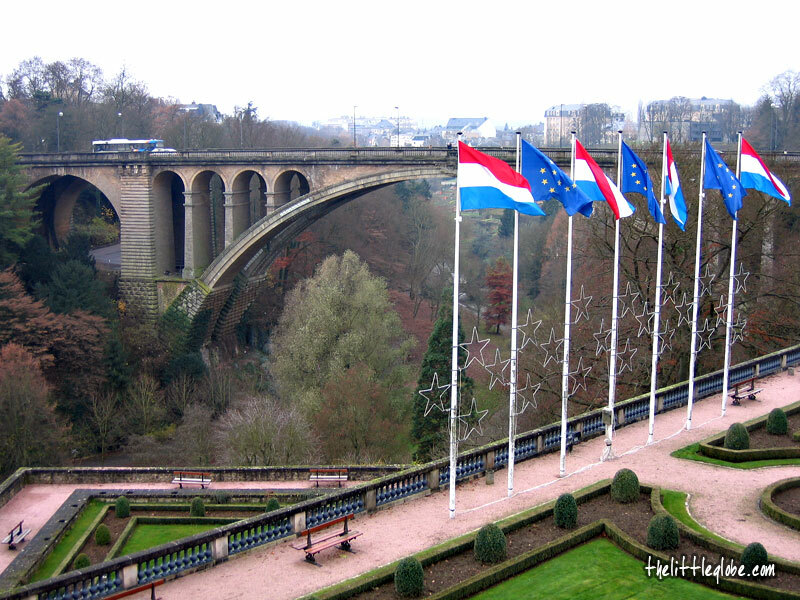 Many years ago, we were driving in Europe and wanted to visit Luxembourg, but it was very foggy then and we decided to give it a miss. Now I regret!